Every Friday I have learned to start my Challenge Detroit day with an open mind. There is so much to take in about the current state of the city and how it got here. I often find myself wondering how Detroit compares to some of the other metropolitan areas in the country. I am most familiar with Philadelphia, so I thought it would be interesting to compare the two cities I know and love. When I started looking I wanted to compare the amount of land and I found that Detroit has 138 square miles and Philadelphia has 134 square miles. This was a very interesting fact because the population size is considerably smaller. According to census.gov, Philadelphia Population estimates, July 1, 2016 are 1,567,872 people and Detroit Population estimates, July 1, 2016 are 672,795 people. Philadelphia has almost the same amount of land but three times the amount of people. Having a regional transportation system in Philadelphia was very helpful because I did not have a car while I lived there for the past five years. Learning how to navigate SEPTA was quite the experience. I cannot imagine not having a car in Detroit and I hope that in the future there can be a reliable form of public transportation. Similarly, I have also lived in Ireland and visited Australia where the bus system is relied on by thousands of people including students of all ages. Another shocking but true statistic that I found was median and Per Capita Income. 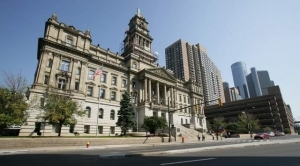 According to censusreporter.org, Detroit’s per capita income is $16,784 about half the amount in the Detroit-Warren-Dearborn, MI Metro Area which is $31,574 . The per capita income for Philadelphia was $34,414 in 2015. Detroit citizens are operating a half of that. Furthermore the the median household income for Detroit is $28,099 which is about half the amount in the Detroit-Warren-Dearborn, MI Metro Area $56,142. 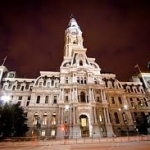 The Real Median Household Income for Philadelphia is $65,123. This is closer to our regional median household income. This seems to show that there is something systematically wrong with the fiscal landscape of the city of Detroit. After digesting all of this information, I am excited to keep learning more about the inner workings of the city in the remainder of this year. The growth in the city of Detroit is apparent and I am excited to see how the city diversifies its portfolio to be successful in the future. Creating sustainable models is critical for Detroit’s success. In my opinion, the resurgence of the city starts with the children and creating a safe and healthy environment for them to learn and grow. Hopefully I can learn more about how to support this younger generation in the upcoming year.